New Hampshire Public Radio will air special programming throughout February that honors the history, struggles and triumphs of African Americans. First implemented in 1976, Black History Month celebrates the lives and accomplishments of notable figures in the civil rights movement and commemorates the challenges African Americans faced to achieve full citizenship in America. Public radio honors this time of reflection and celebration with programming that shares insights into personal stories from the past and the reverberations from history into present-day society. 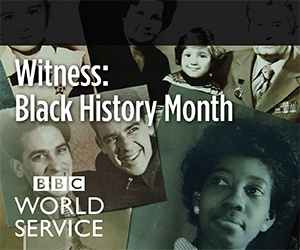 This hour-long edition of Witness delivers first-person interviews on the African American experience: The struggle for fair pay from Doug Williams, the first African American quarterback to play in a Super Bowl; Congresswoman Barbara Lee on her 2001 stance against the Global War on Terror; and Gloria Richardson on the civil rights campaign. This special episode looks at how segregation affected health care for African Americans. Hear voices of those who helped integrate hospitals during the Civil Rights movement as well as a Millennial mom who shares her struggles in finding a black doctor to care for her black children. The episode also examines efforts in areas to nourish African American health and well-being. 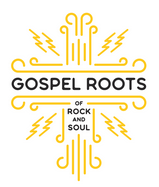 Black gospel music has had a profound impact on the sounds of secular music genres like rock and soul. Hosted by Grammy award-winning gospel singer Cece Winans, this four-part series shares segments from a 15-month period of live events in Philadelphia—which featured musical stylings of gospel legends like The Fairfield Four, The Dixie Hummingbirds and the Fisk Jubilee Singers—as well as a number of interviews with musicians, historians and scholars. In 1859, a Mrs. H.E. Wilson published a novel at her own expense. The book told the story of a biracial girl named Frado abandoned by her mother to be raised by a prominent family where she suffered verbal and physical abuse at the hand of her employers in a New Hampshire town famous for its abolitionist activities. The novel didn’t sell well - likely less than 100 copies - and the book as well as its author fell into obscurity.